We are often asked how we find and buy some of the best properties that are ostensibly never advertised. It is true that most of the best properties to buy do not get published in Country Life magazine, newspapers or placed on the numerous property portals – indeed the majority never make it to the open market. Over the last 25 years we have built a reputation for finding ‘off-market’ properties - to both buy and rent – through our network of contacts, experience and market knowledge. This white paper answers the key questions that our clients often ask us before deciding to retain our services in their hunt for a new home. Download the pdf. How do you find off-market properties? In the same way that many buyers retain a property search agent to hide their identity, we have found that vendors of some of the best village houses and estates simply do not wish the general public to know about their business. They certainly do not wish people who cannot afford to buy or rent their property to view their homes just for interest or being nosy! Will our identity be kept hidden? Discretion, privacy and confidentiality are at the core of our service. We often find that our clients simply do not wish the general public to know about their intentions. We regularly sign confidentiality agreements with our clients confirming that we will keep all information strictly private and confidential. Invariably, it is the local selling agents that will be the first to know about a prestigious house becoming available. 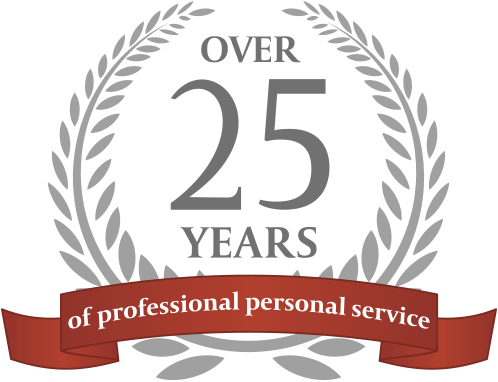 With 25 years of experience and building contacts - including selling and letting agents, other buying agents who may have clients who wish to discreetly sell their properties, local ‘gossip’, property professionals including solicitors, property surveyors, removal companies and of course ex-clients – Premier Property Search is ahead of the curve when it comes to knowing when sought after homes are being made available for sale. Why might a vendor prefer to sell ‘off-market’? Putting the desire for confidentiality to one side, not every vendor or landlord has the luxury to wait until the ‘right time’ of the year to market their properties. Frequently, we are informed about properties that are quietly available to buy or rent now but only to one or two select buyers and their agents. If not sold, they will be openly marketed in the spring or the early summer months. Probably 75% of all the properties we buy or rent are properties that we get to know about prior to them being placed into the public domain and openly advertised. Strategically, not all are acquired prior to them being marketed but a significant majority certainly are. How do you research the target property if it is ‘off-market’? If and when we do hear about a specific property that is coming to the market, either immediately or at a later date, we react very promptly and rush around getting as much information and detail as we can. This sometimes means being proactive in having a ‘nose’ around an area, driving up to have a look and taking photographs. Earlier this year we commandeered a drone to get an aerial view of the house and grounds which we could relay back to our client in order that we were informed ahead of the market and other interested buyers. Emotional attachment does not help a negotiation. By retaining a property search agent to conduct negotiations on your behalf will usually mean that you get the best possible price for your new home. If a property is only quietly marketed, is not exposed to the open market and the vendor doesn’t want to have the hassle and frustrations of having large numbers of people viewing their property, it is often possible to secure a straight forward no-nonsense transaction which suits both parties. Will I pay a premium for an ‘off-market’ property? We regularly say to our client’s that finding out about a house that is available to buy is a small part of what we do and is often the easy part. The more challenging task is negotiating and acquiring the property making sure that our clients buy or rent at the right price. Will you also help acquire the property? Understanding the buying and renting process is an important pre-requisite of any professional property search agent. Knowing the procedures and having a deep understanding of the legal conveyance process is always essential in a successful acquisition. At Premier Property Search we make it our business to know every detail and requirement of the sale – whether open or sealed - and are meticulous in the preparation of the formal bid and supporting documentation. By adopting this professional approach momentum is maintained and the seriousness of your intentions are made clear to all parties. Experience, research, knowing the property market, being pro-active and in regular contact with key property professionals supported by modern technology are all contributing factors to being successful as a property search agent. If you are seeking to either buy or rent a prestigious property, negotiate the best price you can whilst retraining confidentiality, then you should retain a highly experienced and well connected buying agent with a proven track record to represent you. Click here to download this in pdf format.